The Certified Information Systems Auditor (CISA) certification course in Toronto will give you the skillsets to govern and control enterprise IT and perform an effective security audit on any organization. You’ll gain expertise in the acquisition, development, testing, and implementation of information systems and learn the guidelines, standards and best practices of protecting them. CISA is one of the hottest areas in information security, with a need for six million IT security professionals by 2019. Simplilearn’s CISA certification training in Toronto is aligned to ISACA and ensures that you ace the exam in your first attempt. Most jobs in this field either require or prefer that candidates have a CISA certification. The CISA training will enhance your understanding of IS audit processes and also help you understand how to protect information systems. What skills will you learn from CISA certification training in Toronto? 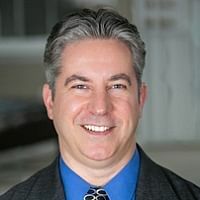 Who should take CISA certification course in Toronto? What types of jobs are ideal for CISA trained professionals in Toronto? CISA has become one of the most sought-after certification programs in Toronto due to a growing demand for professionals possessing information systems audit, control, and security skills. CISA certification will give you these critical skills and provide with a competitive edge over your peers in the field of information security. 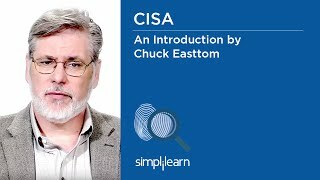 This course will also help you prepare for the CISA certification exam. How will I become a CISA certified professional in Toronto? What are the prerequisites for a CISA certification in Toronto? Attend one complete batch of CISA certification training in Toronto. Very helpful for career in Information Security. The best part of the training is that the trainer is giving many practical and real-time examples to clarify concepts. Thank you.